Dubai : The UAE's sailing champion is hoping for a timely sponsorship boost that will enable him to win a medal at this year's Asian Games in Guangzhou, China. "What is needed at the moment is the right kind of funding and sponsorship to enable an individual sportsman like me to fulfill my dream and the destiny of the UAE by winning a medal at the Asian Games," Adel Khalid told Gulf News yesterday. "I am not asking for the world. I am only seeking the right sort of assistance and backing from the authorities," he insisted. Khalid became the only sailor from the UAE to represent his country at an Olympic Games when he qualified through a series of regattas held in Europe in a run-up to the 2008 Beijing Olympics. However, after that he felt he was left to stagnate in the wilderness with no forthcoming assistance to help the sailor improve his performance. "For nearly one year I stayed at home without any training or competition sailing barring the smaller regattas held in the neighbouring Gulf countries," Khalid noted. 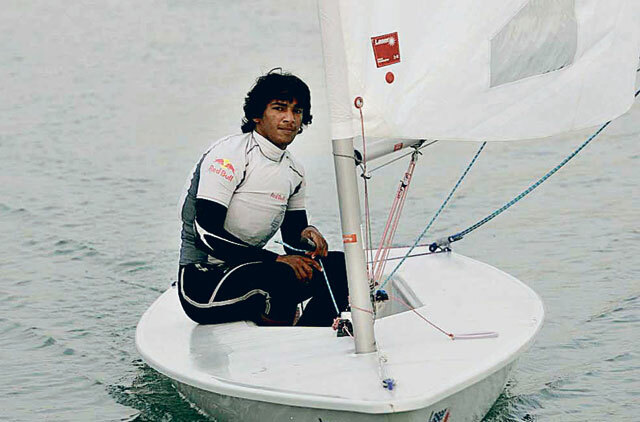 Though preparing for the final round of the Gulf Sailing Championships that get under way in Bahrain from June 21, Khalid — currently supported by Red Bull and Al Massaood Automobiles — convinced himself that something good could happen to his chosen sport due to the country's impending participation in the XVIth Asiad to be held from November 12-27 in China. Guangzhou will be the second city in China to host the games after Beijing in 1990. Forty-two sports are scheduled to be contested, making it the largest Asian Games ever. "But nothing seems to be happening as of now. I have had meetings with top officials from the UAE National Olympic Committee (UAENOC) and I have had nothing but empty promises being made. "We are just months away from the Asian Games and if I do not go and participate in the European sailing tour then there is very little hope for me," Khalid said. "The authorities may find me impetuous because I am speaking the truth. But tell me, what is the other option before me at the moment after going from door to door requesting support?" the UAE sailor asked. "I am totally disillusioned with the way sport is being run here... I need to fulfill a dream," he said.